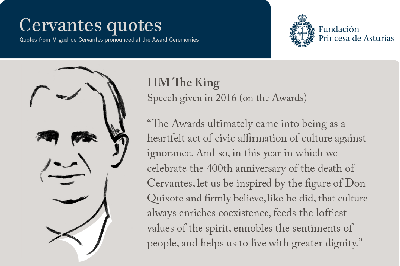 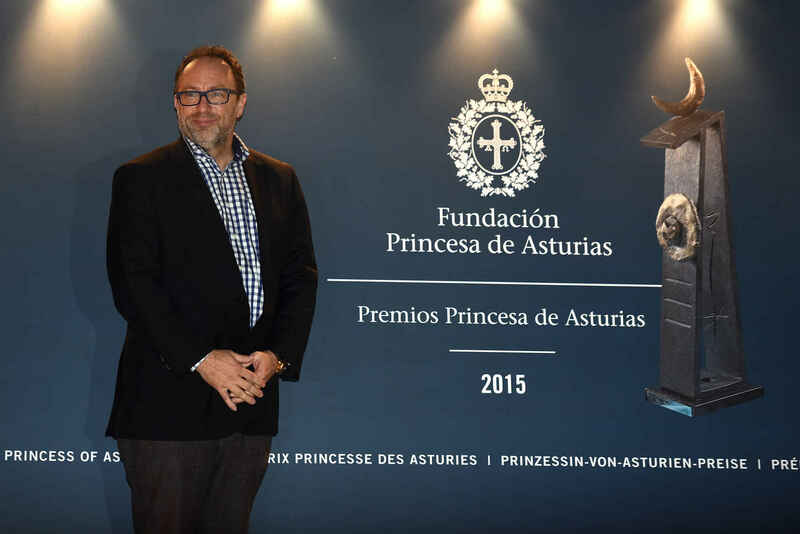 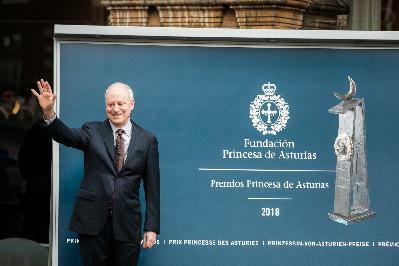 Mark E. Davis TM The King of Spain, presenting the insignia to Mark E. Davis, 2014 Prince of Asturias Award for Technical & Scientific Research. 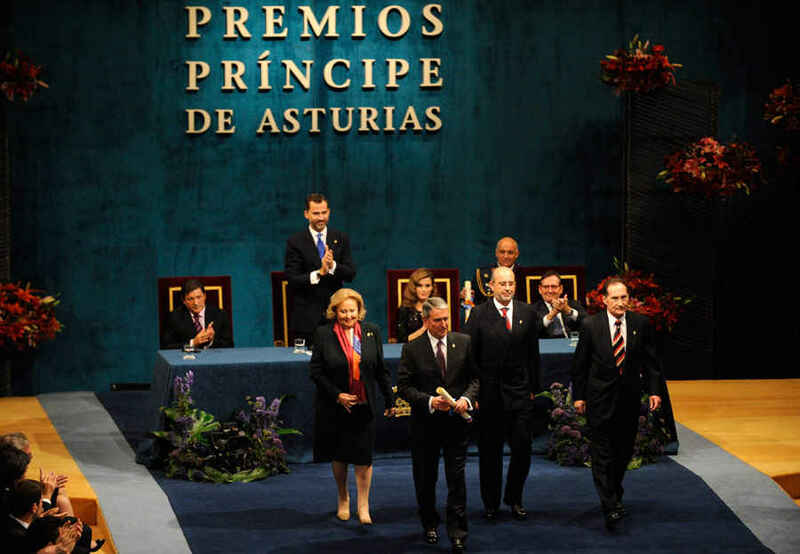 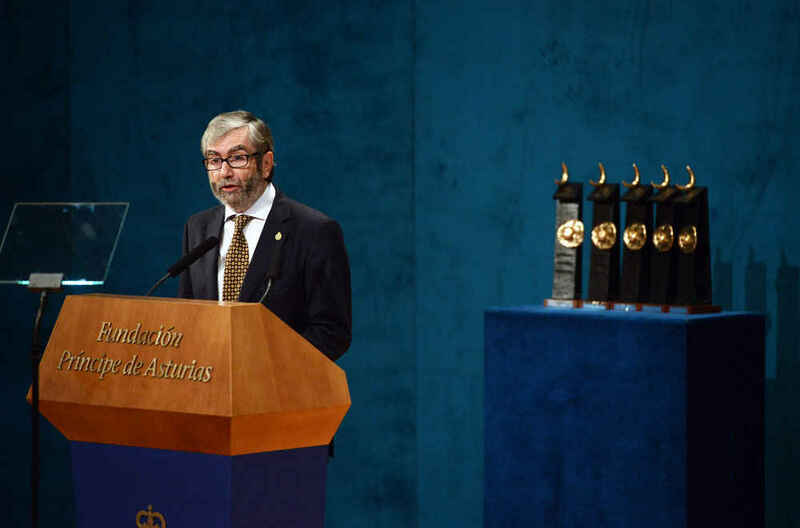 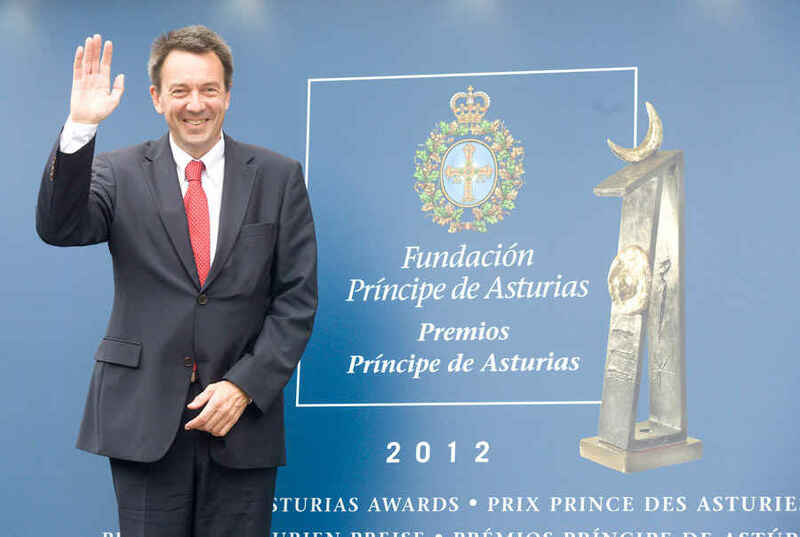 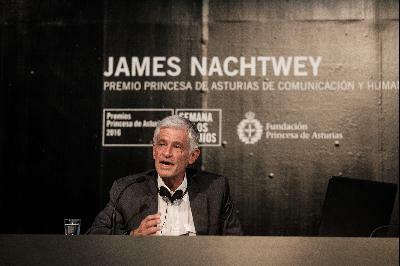 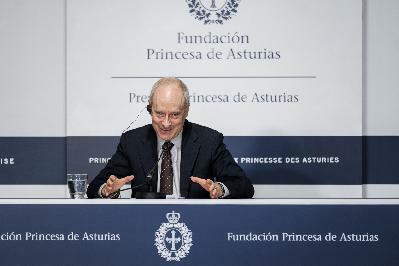 Galen D. Stucky TM The King of Spain, presenting the insignia to Galen D. Stucky, 2014 Prince of Asturias Award for Technical & Scientific Research. 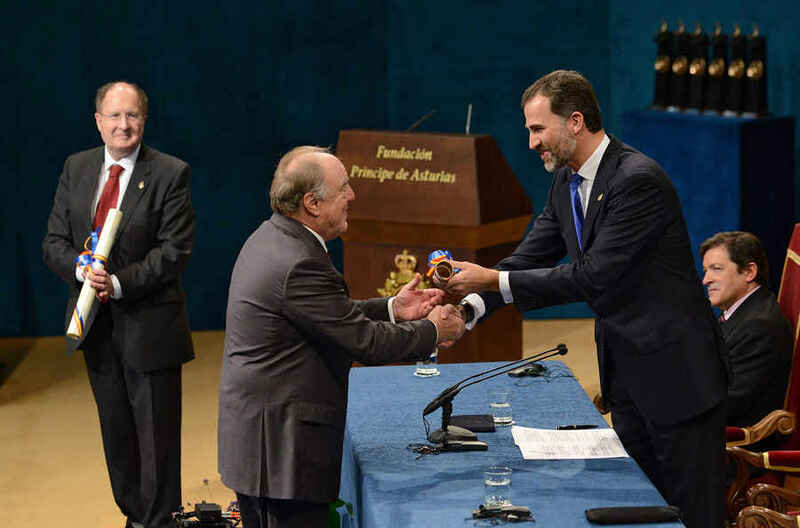 Avelino Corma TM The King of Spain, presenting the insignia to Avelino Corma, 2014 Prince of Asturias Award for Technical & Scientific Research. 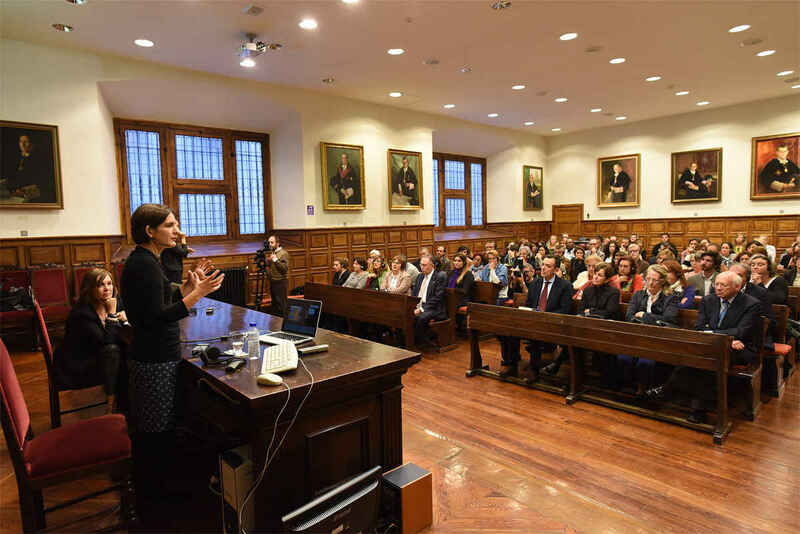 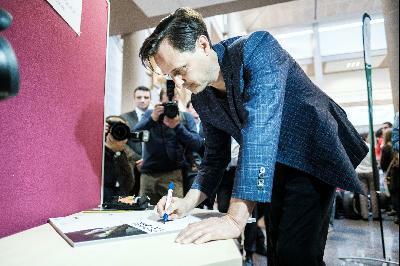 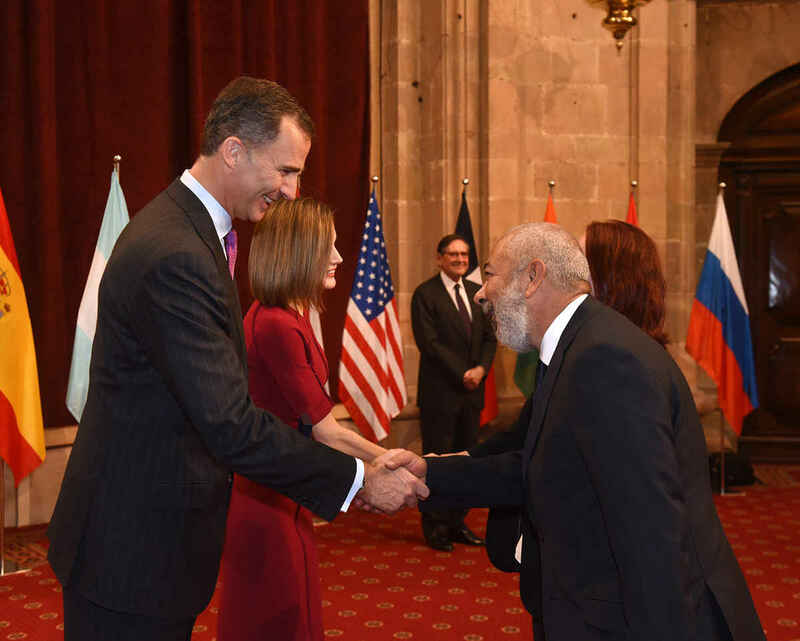 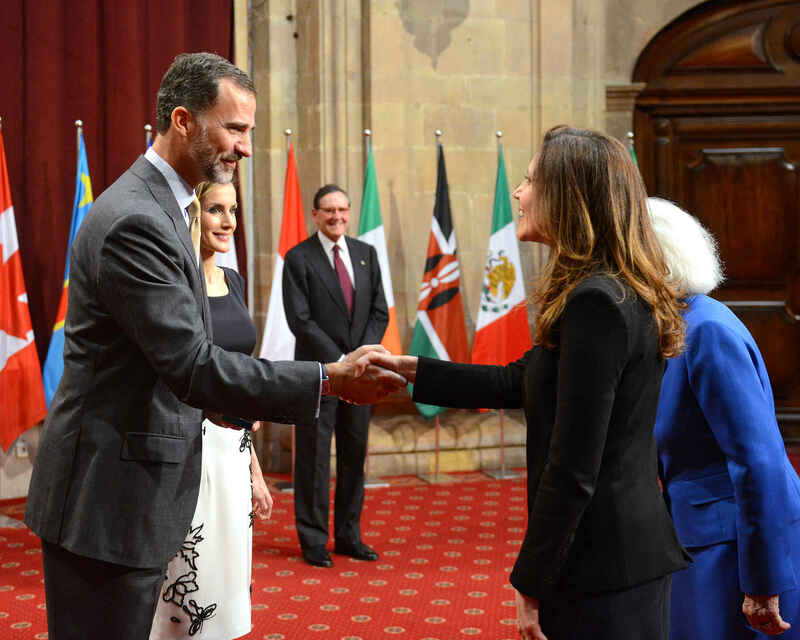 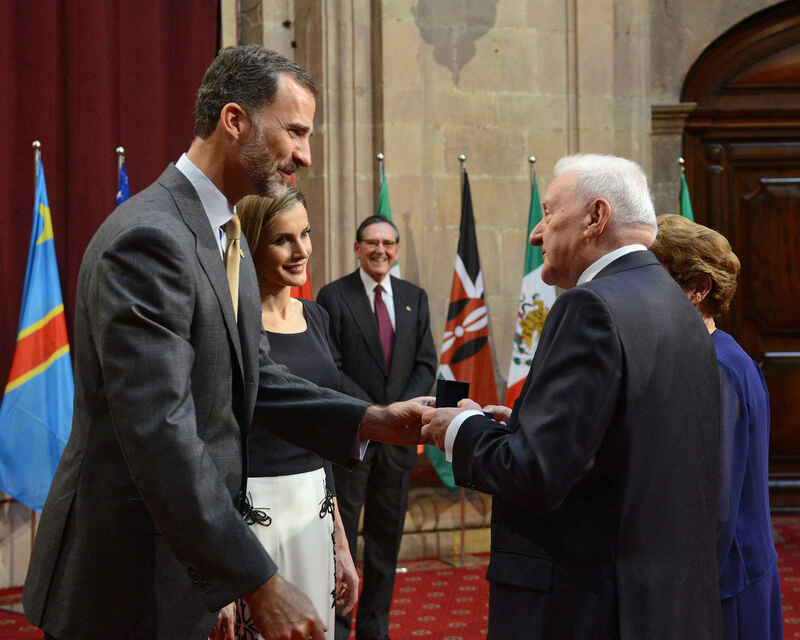 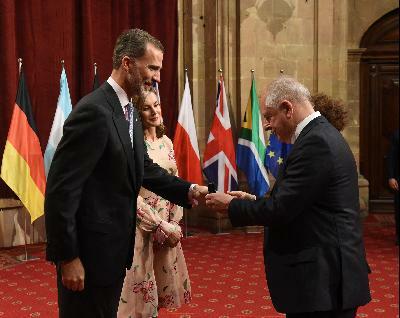 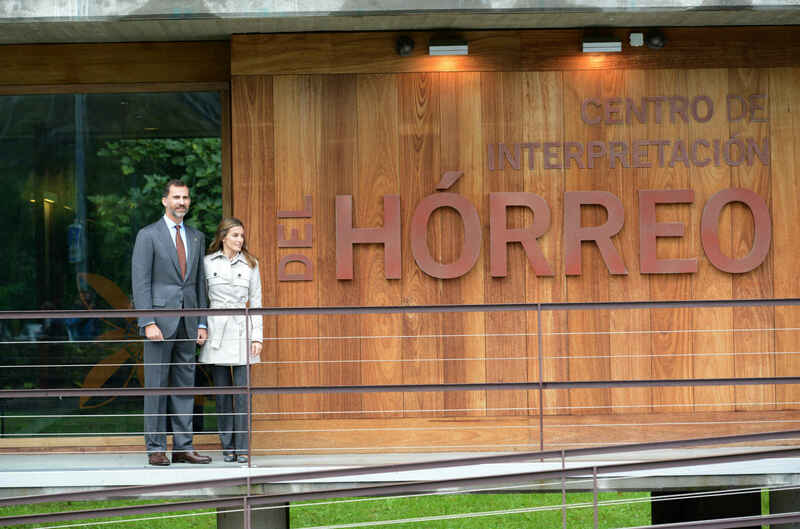 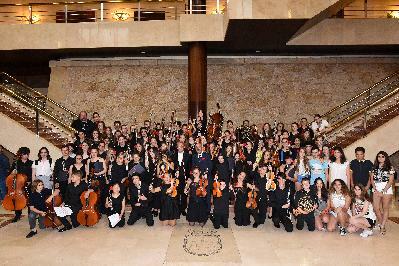 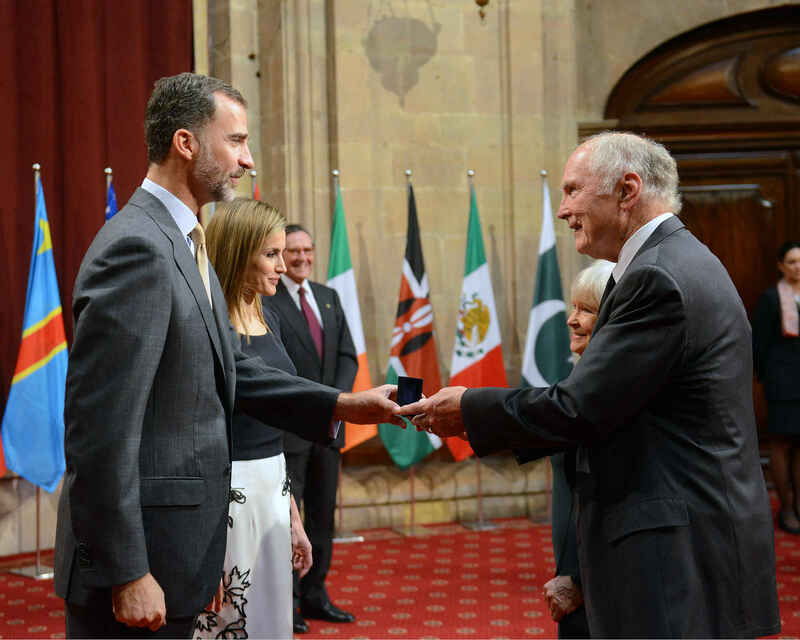 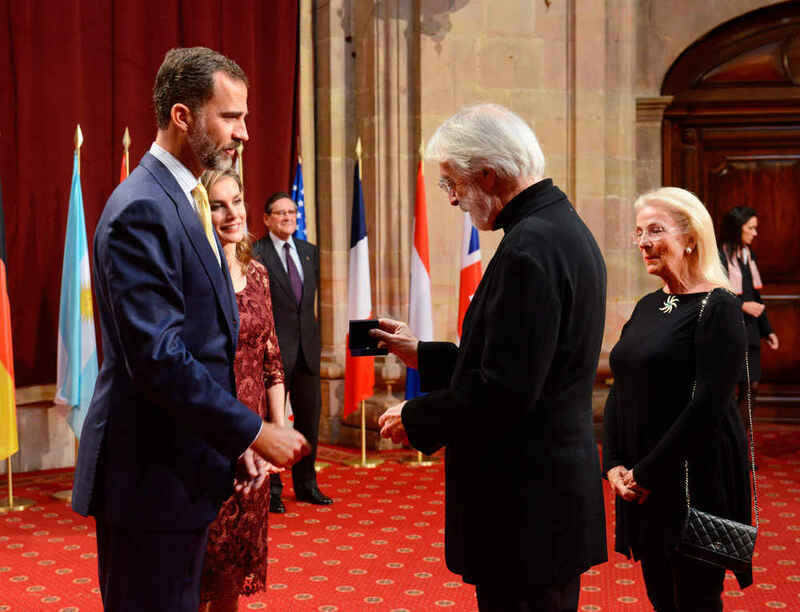 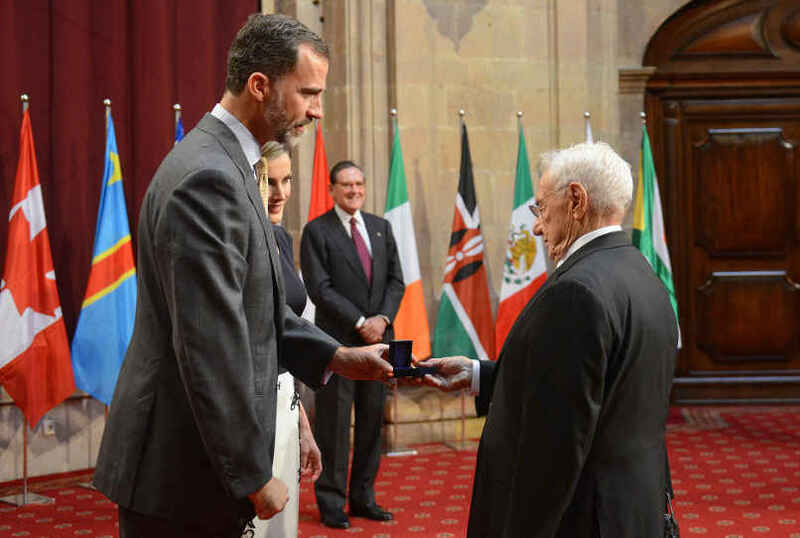 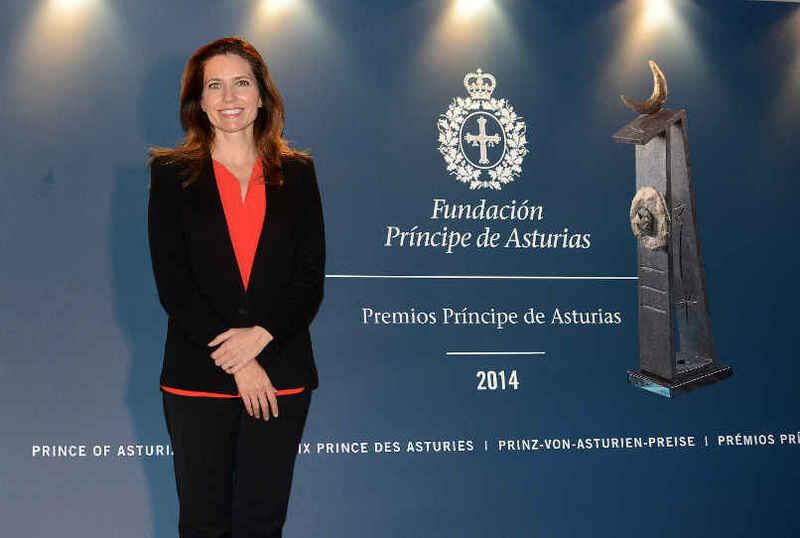 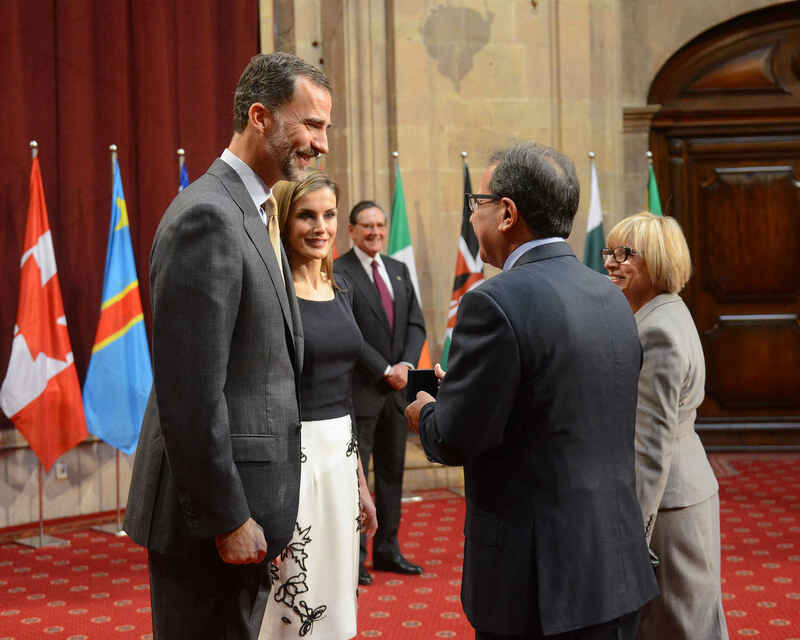 Evan Ryan HM The King of Spain presenting the insignia to Evan Ryan, representative of Fulbright Programme, 2014 Prince of Asturias Award for International Coperation. 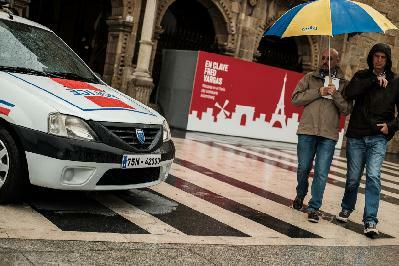 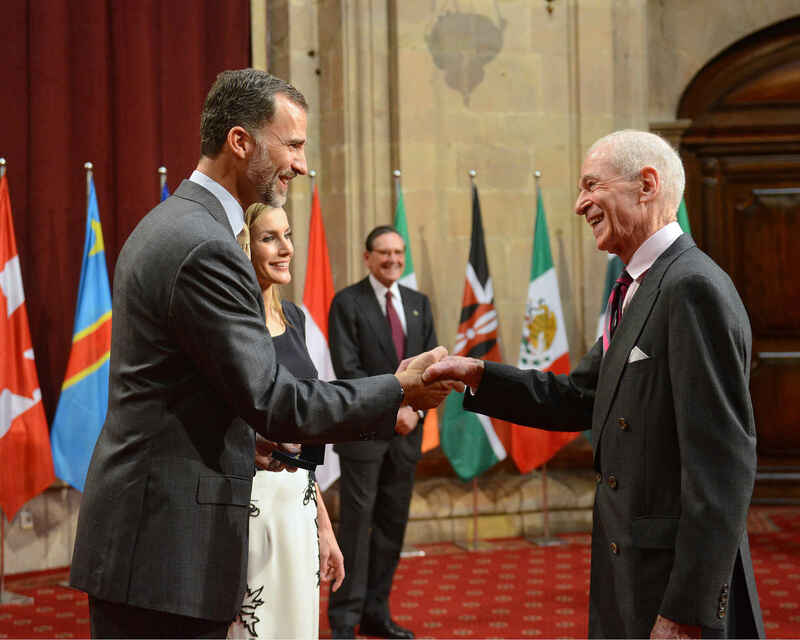 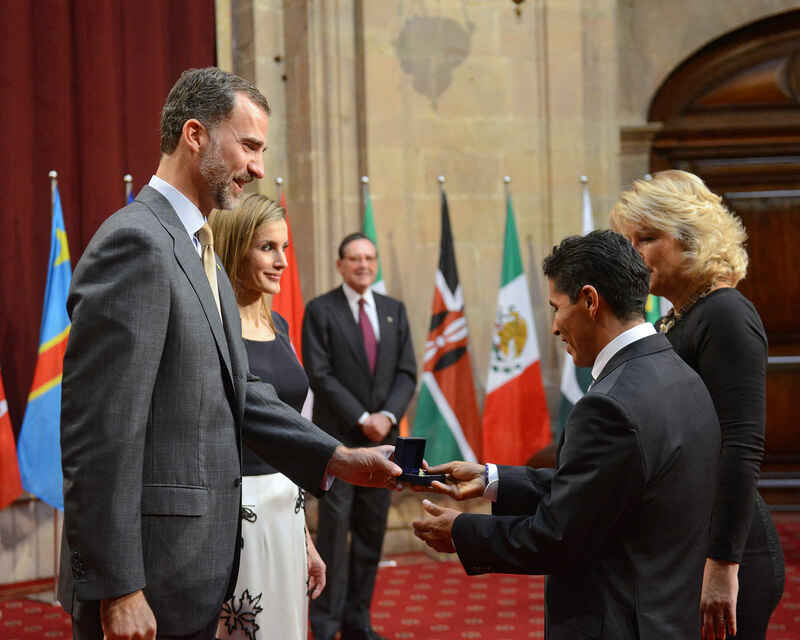 Germán Silva HM The King of Spain presenting the insignia to Germán Silva, representative of The New Yorki City Marathon, 2014 Prince of Asturias Award for Sports. 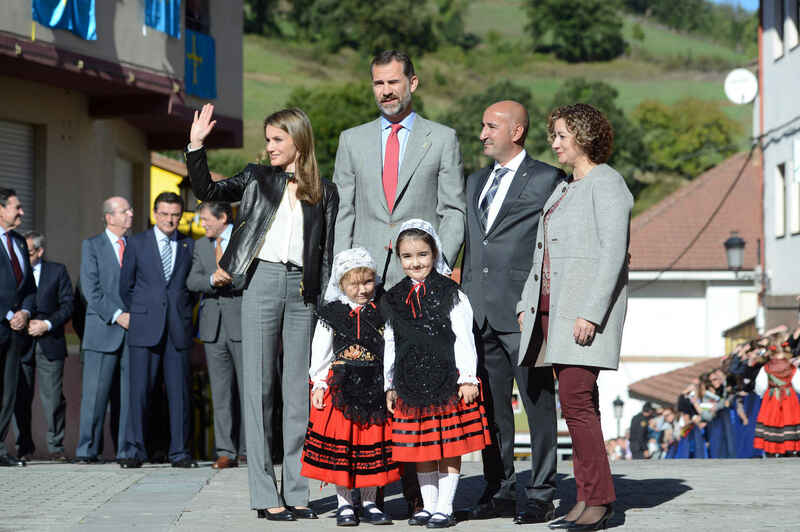 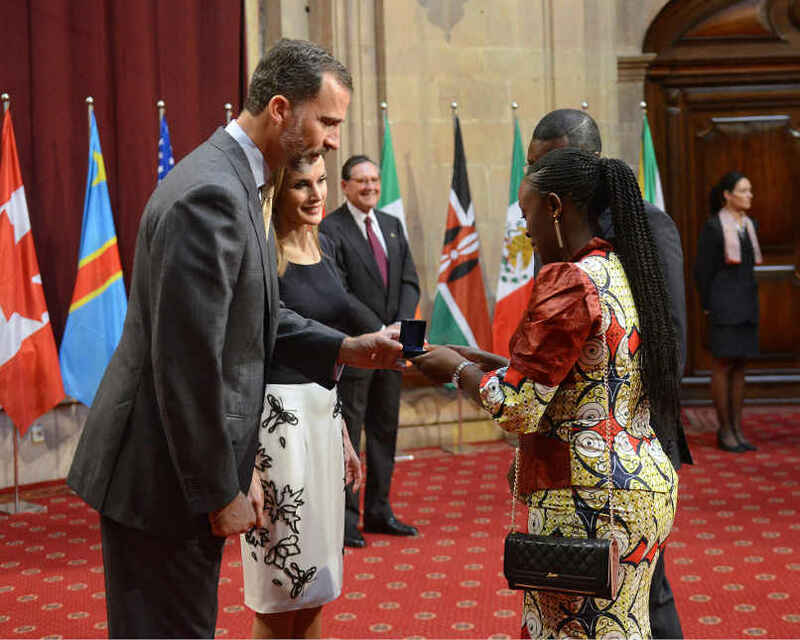 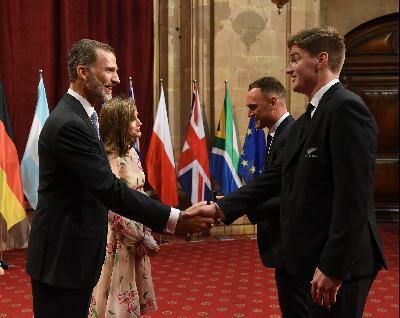 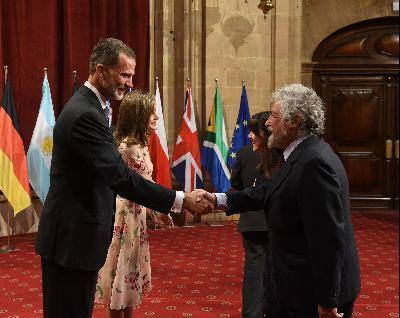 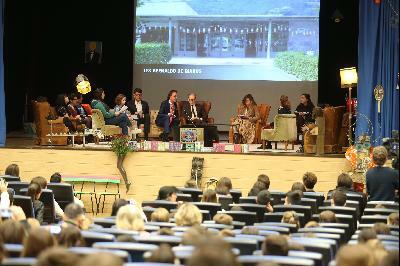 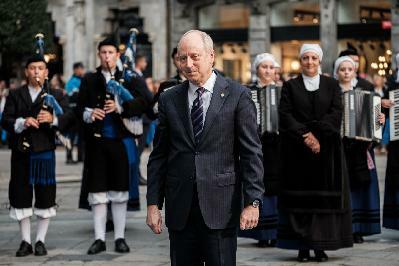 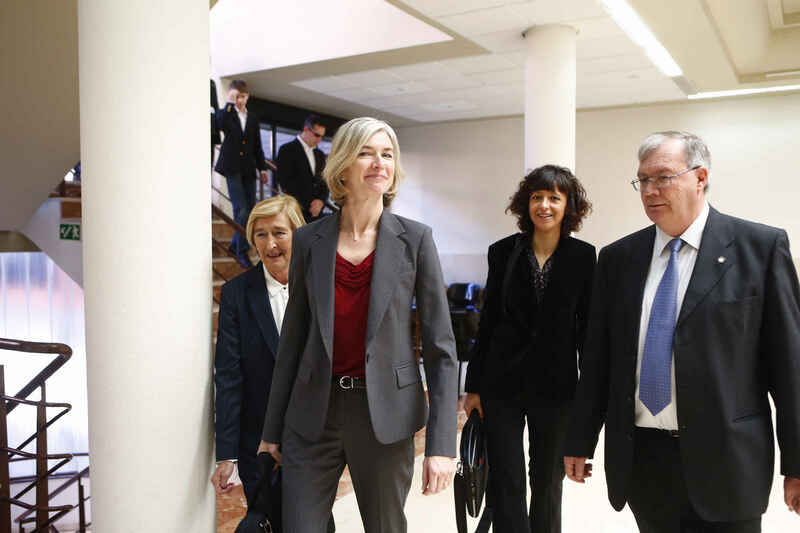 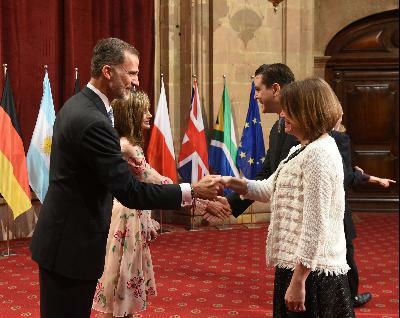 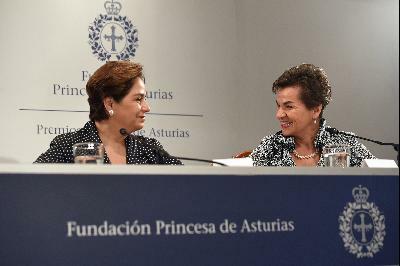 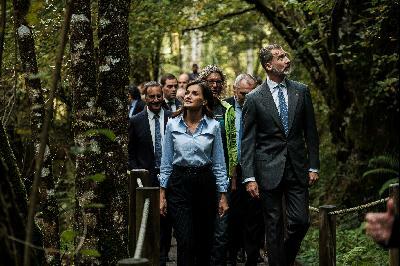 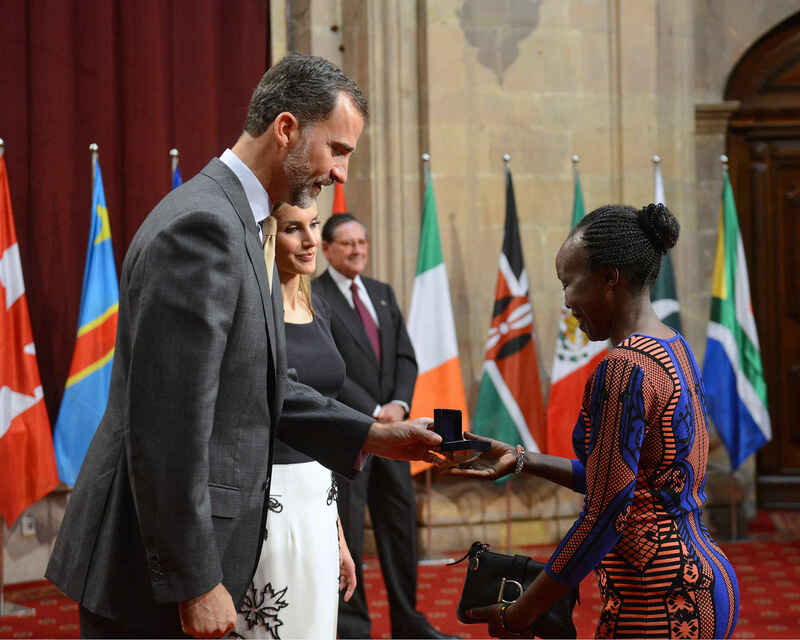 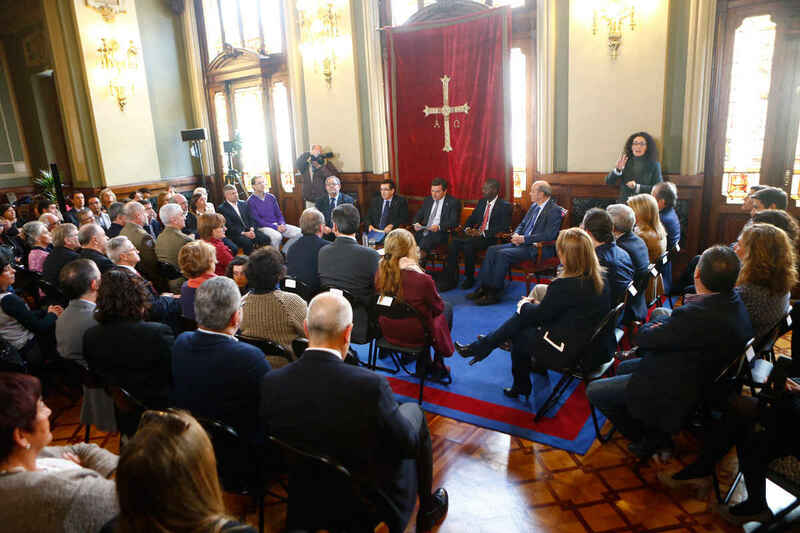 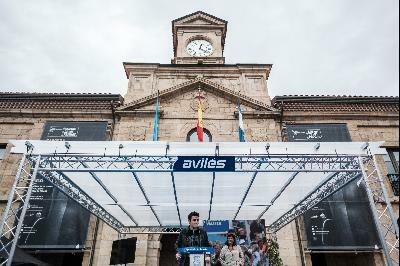 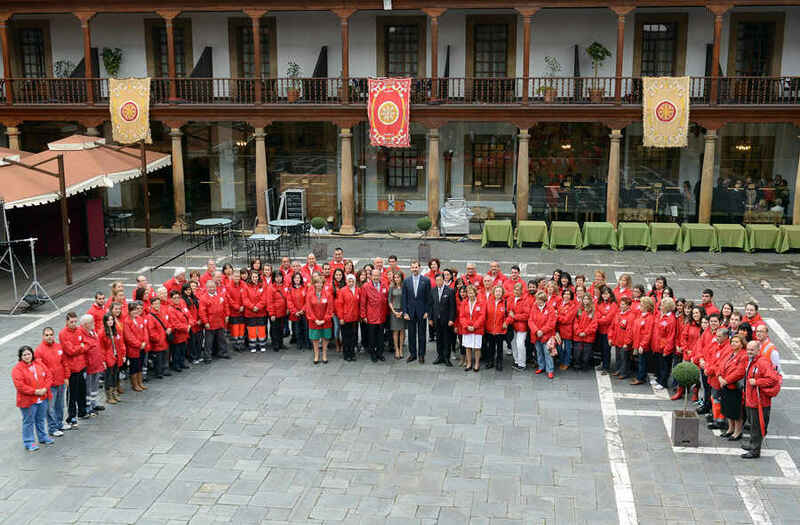 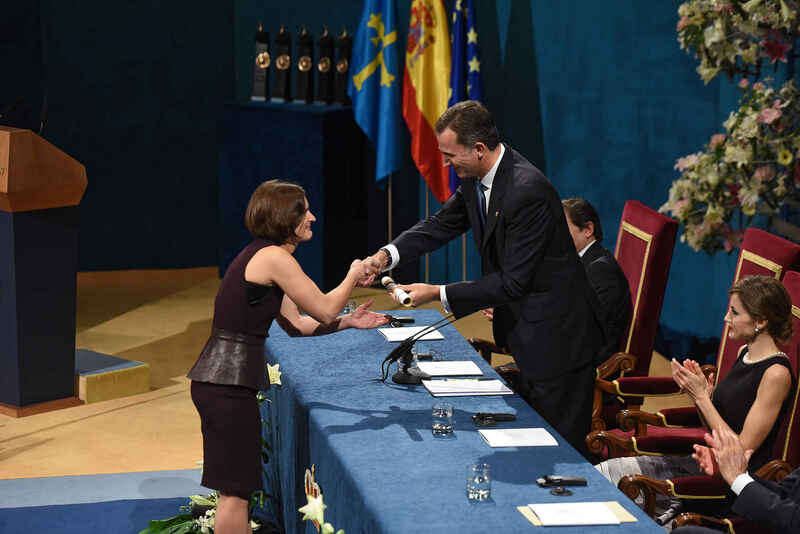 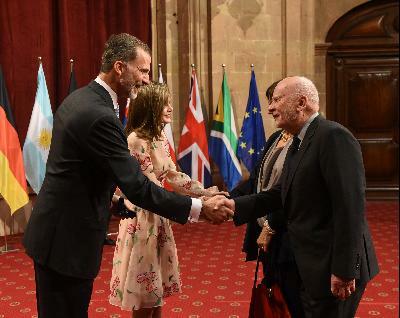 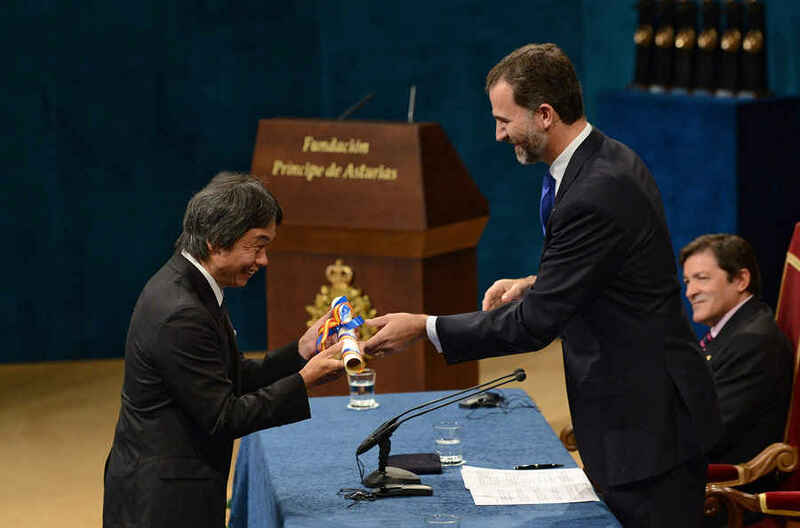 Tegla Loroupe HM The King of Spain presenting the insignia to Tegla Loroupe, representative of The New Yorki City Marathon, 2014 Prince of Asturias Award for Sports. 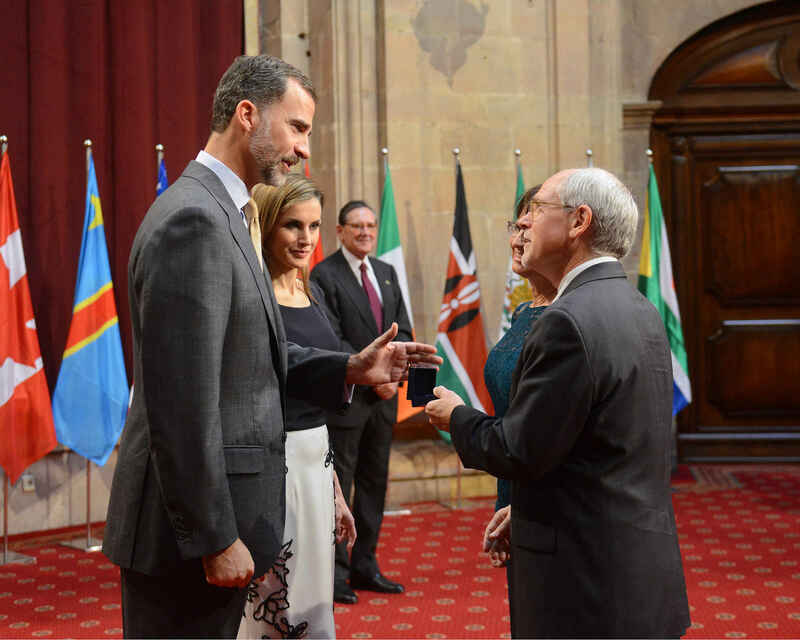 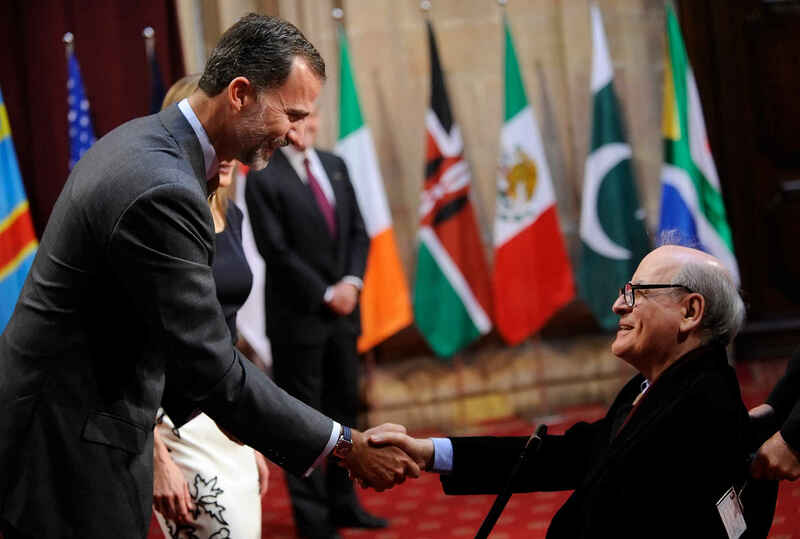 George Hirsch HM The King of Spain presenting the insignia to George Hirsch, representative of The New Yorki City Marathon, 2014 Prince of Asturias Award for Sports. 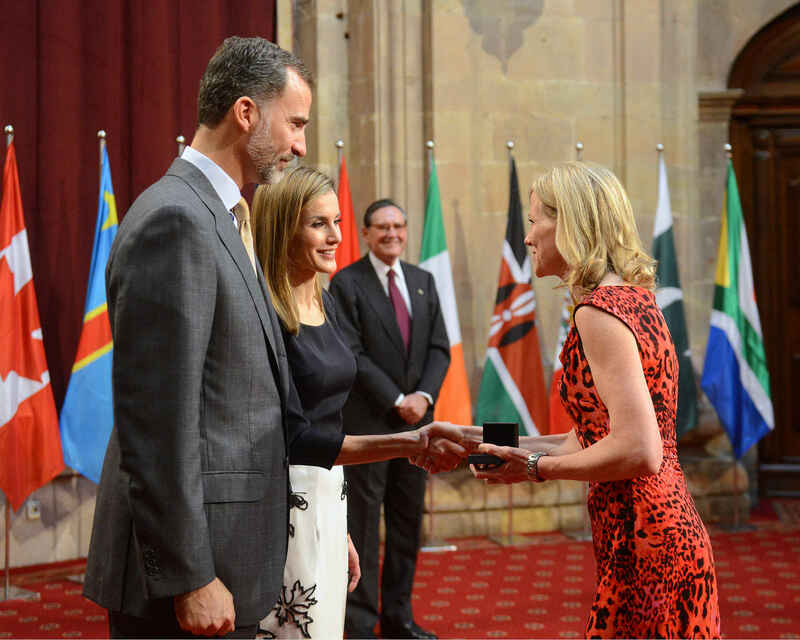 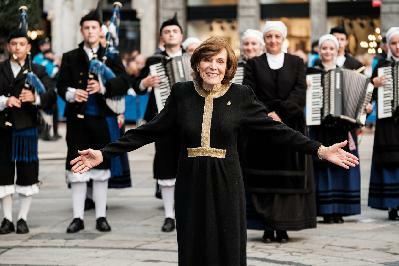 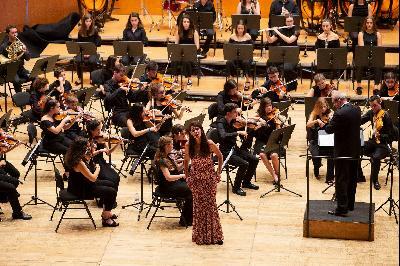 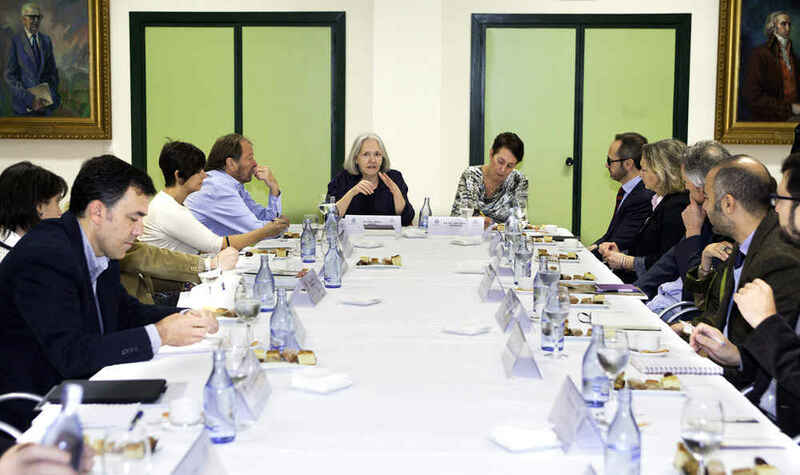 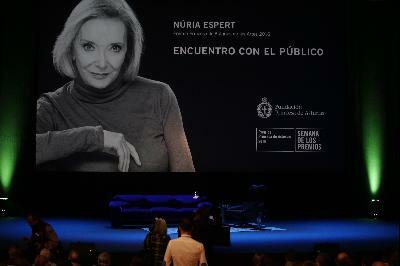 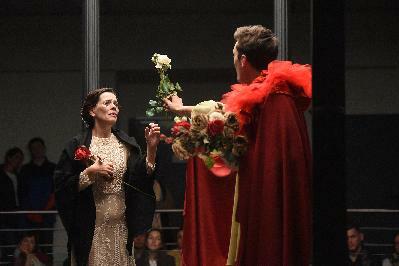 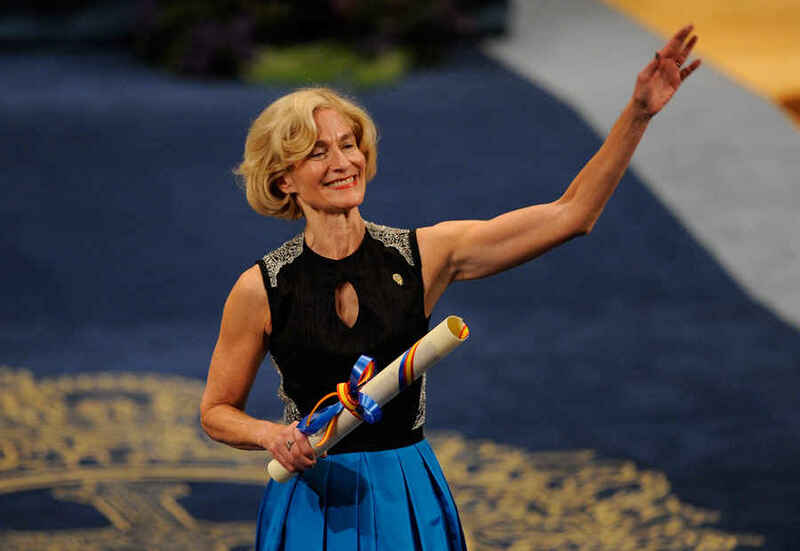 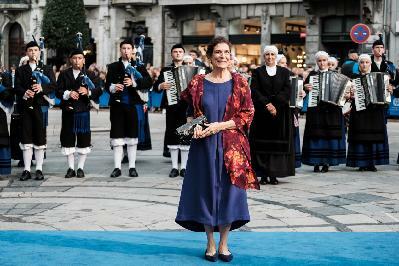 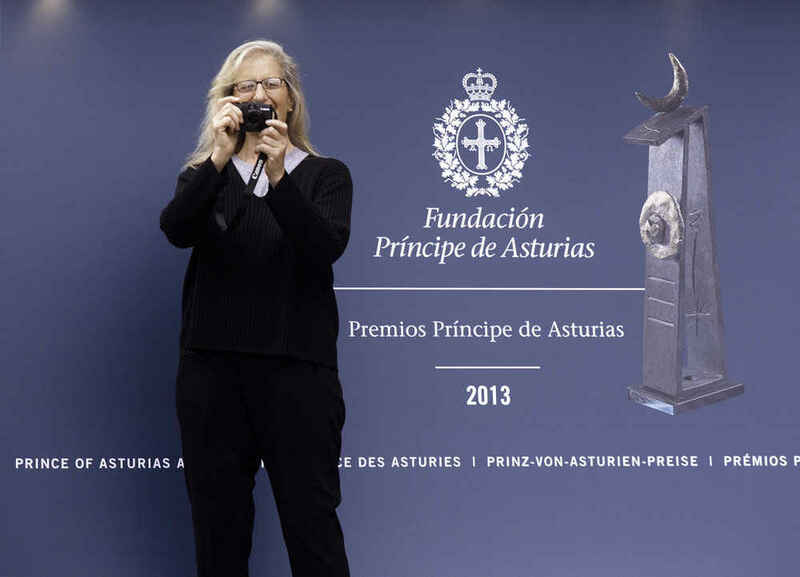 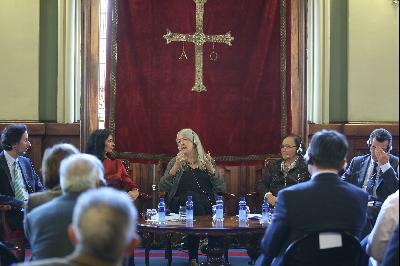 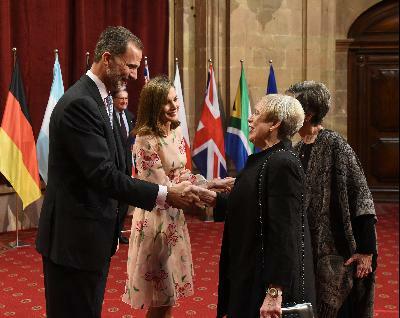 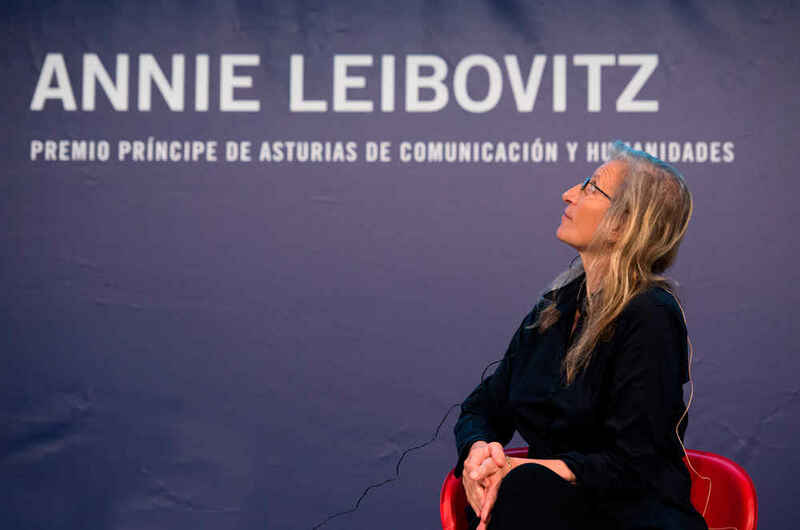 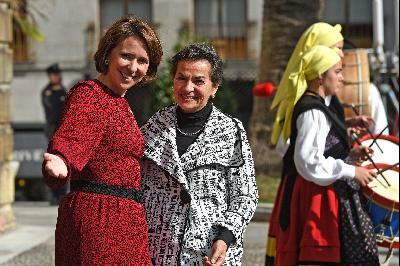 Mary Wittenberg HM The King of Spain presenting the insignia to Mary Wittenberg, representative of The New Yorki City Marathon, 2014 Prince of Asturias Award for Sports. 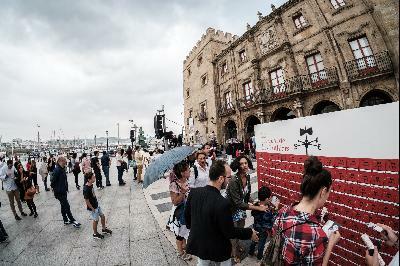 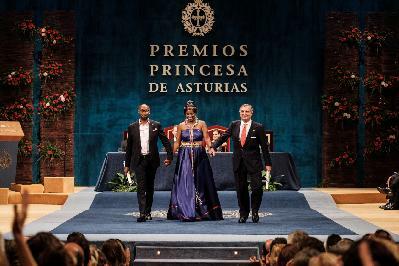 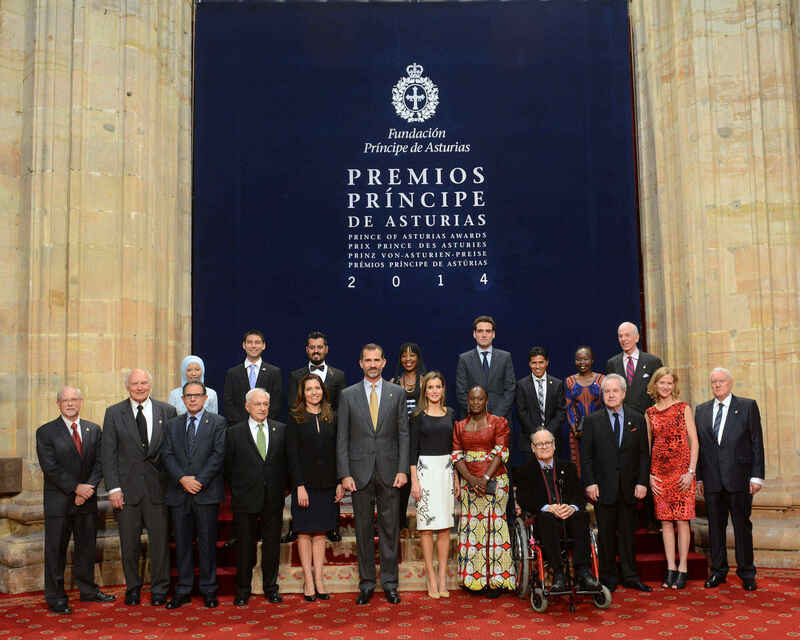 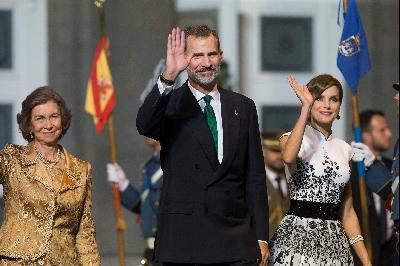 Caddy Adzuba HM The King of Spain presenting the insignia to Caddy Adzuba, 2014 Prince of Asturias Award for Concord. 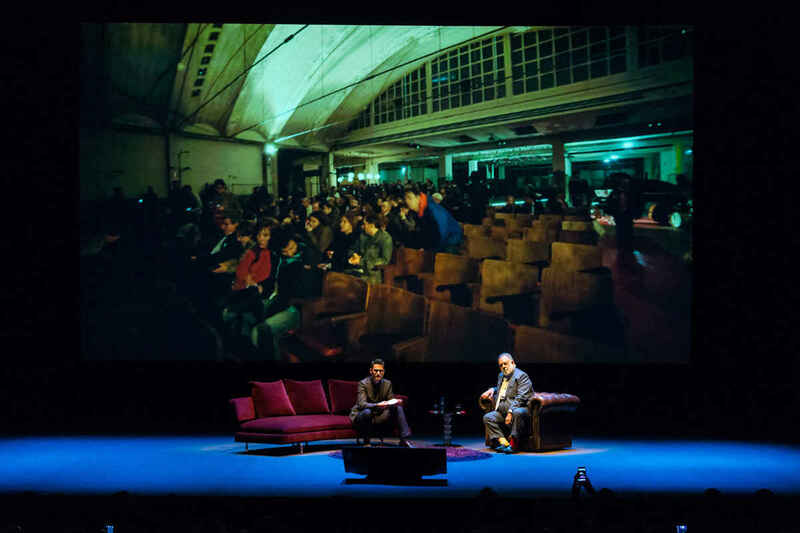 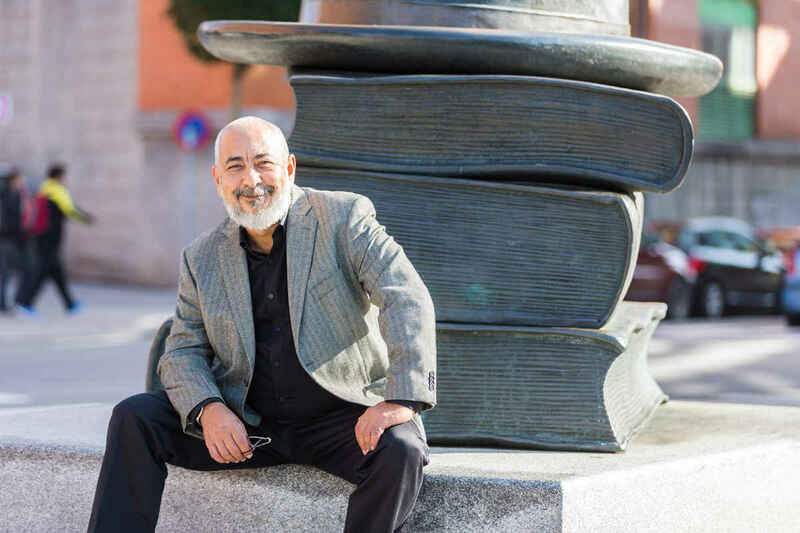 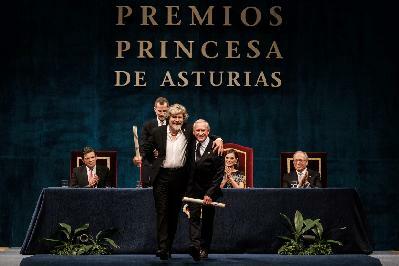 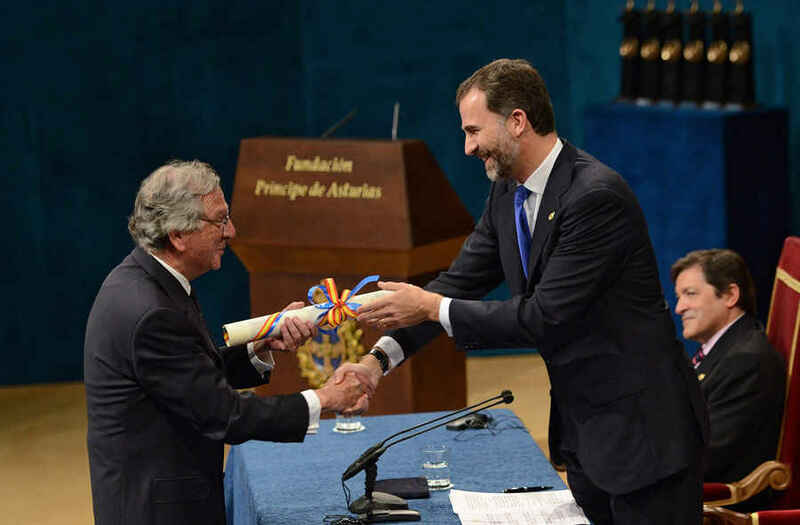 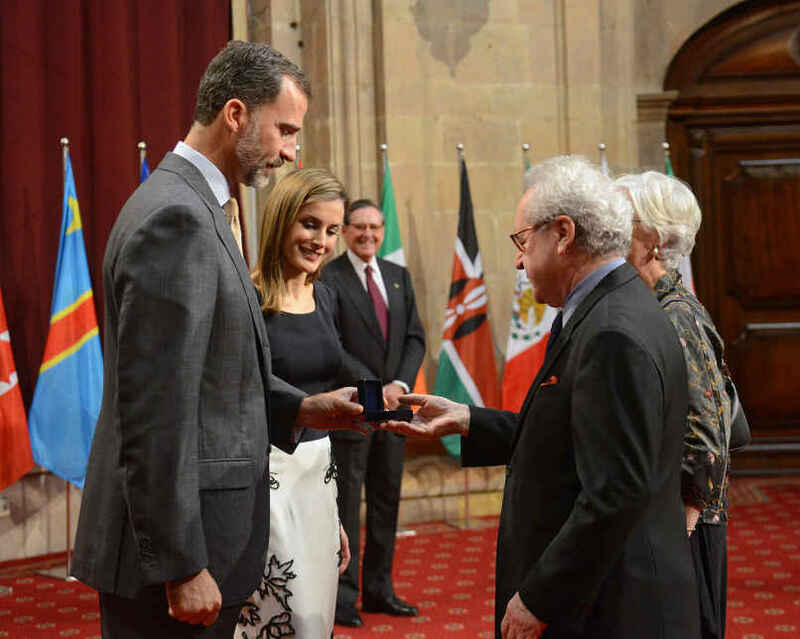 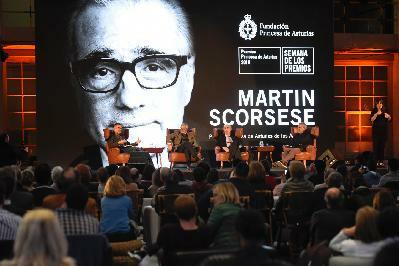 John Banville HM The King of Spain presenting the insignia to John Banville, 2014 Prince of Asturias Award for Leterature. 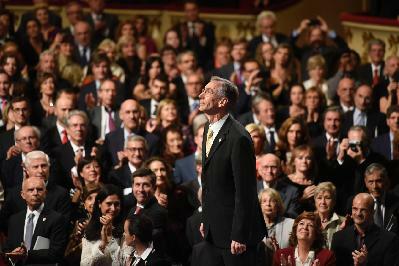 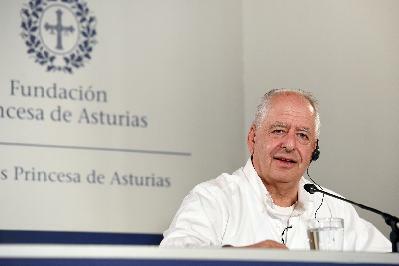 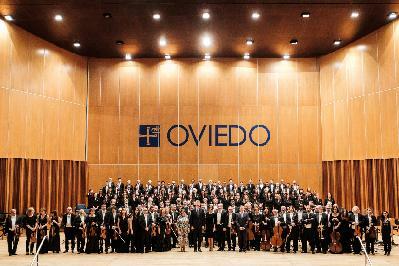 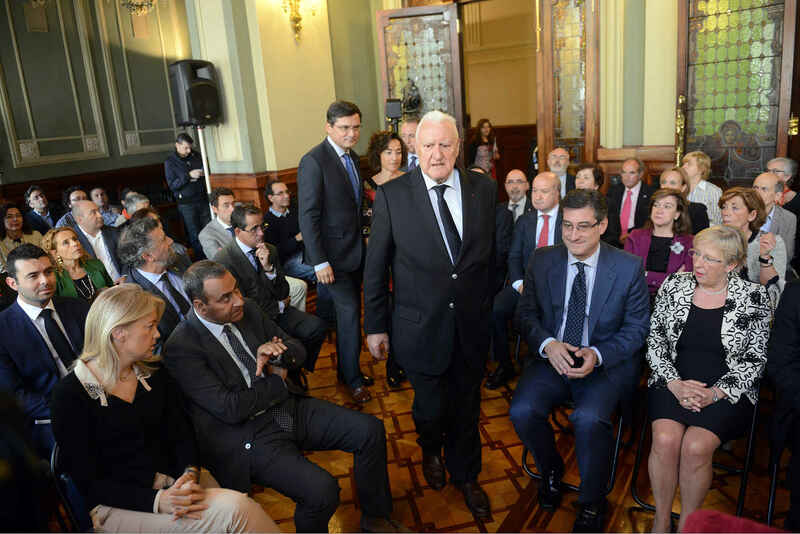 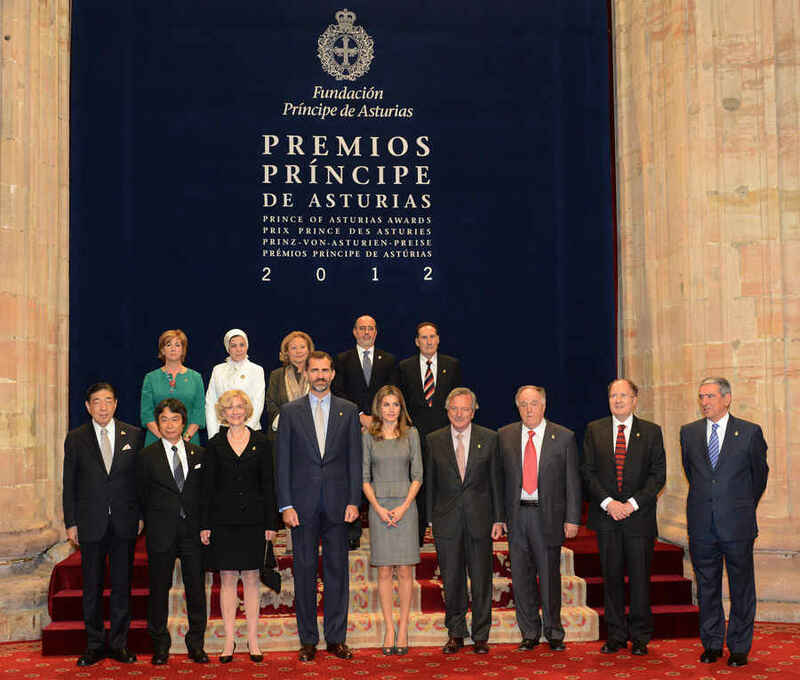 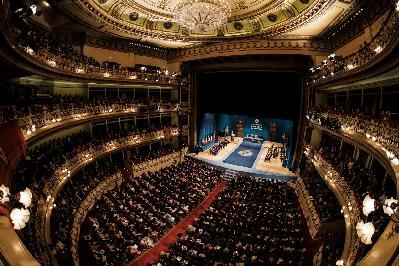 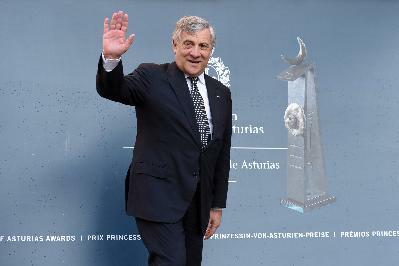 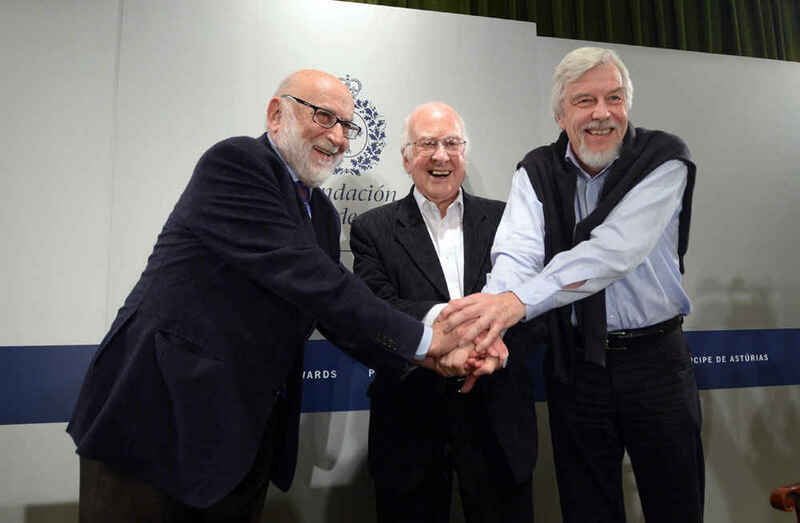 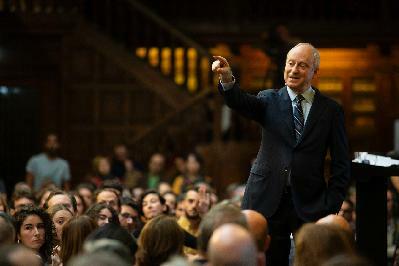 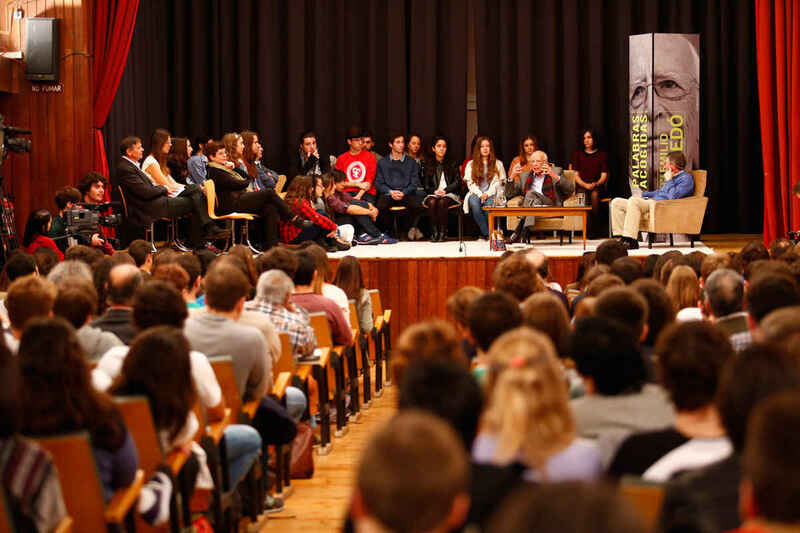 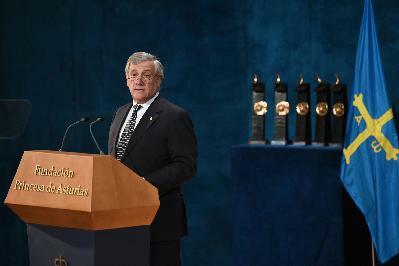 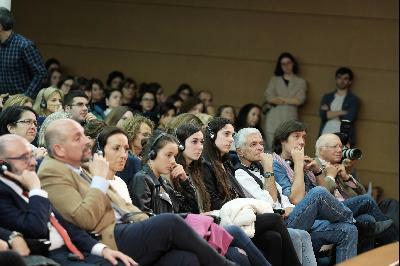 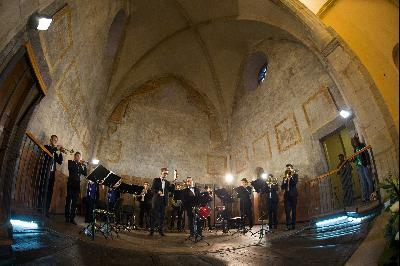 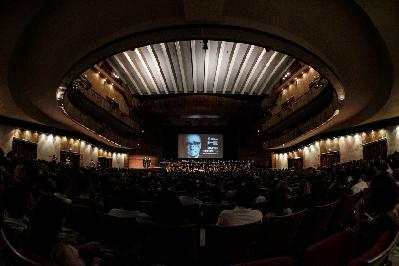 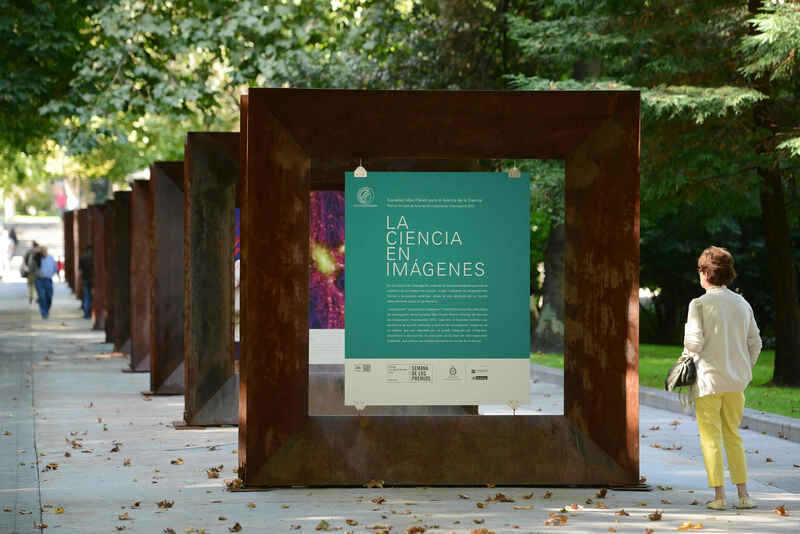 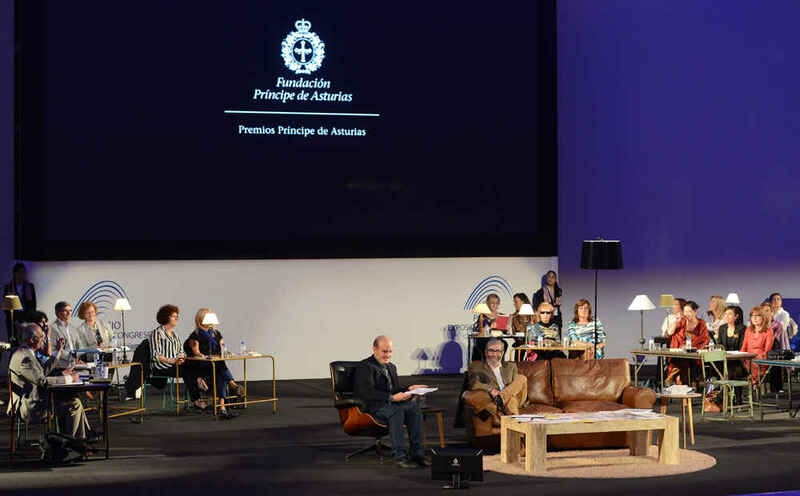 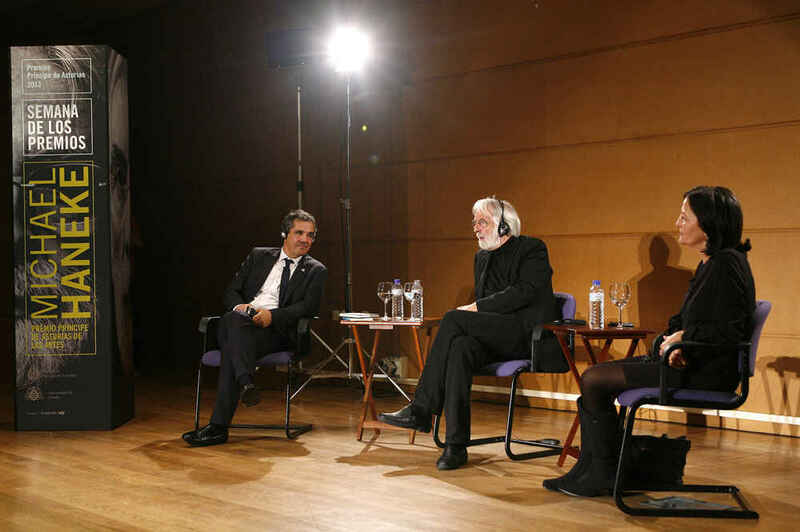 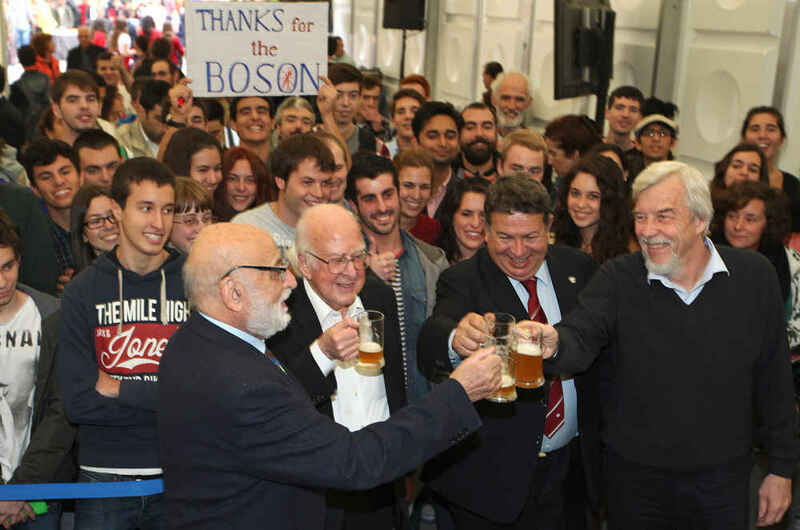 Joaquín S. Lavado Tejón, Quino HM The King of Spain presenting the insignia to Joaquín S. Lavado Tejón, Quino, 2014 Prince of Asturias Award for Technical and scientific research. 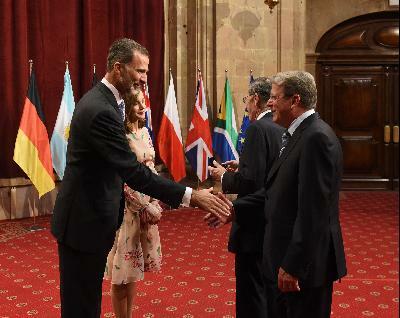 Joseph Pérez HM The King of Spain presenting the insignia to Joseph Pérez, 2014 Prince of Asturias Award for Social Sciences. 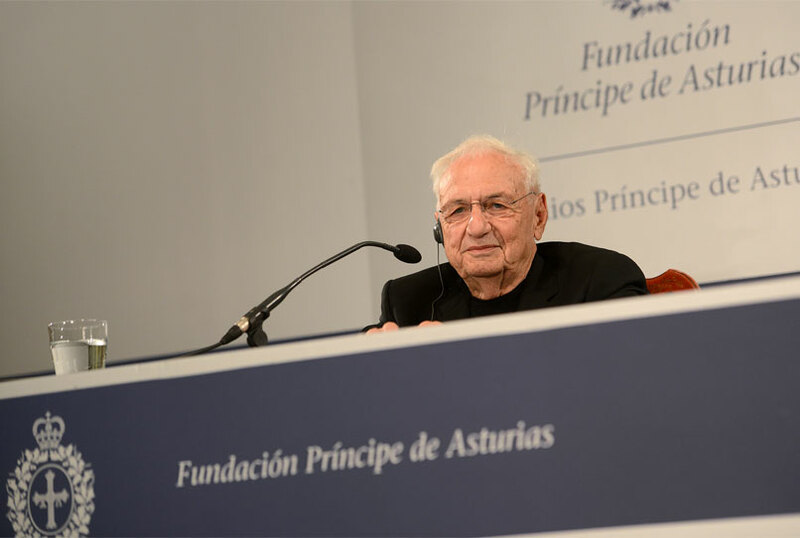 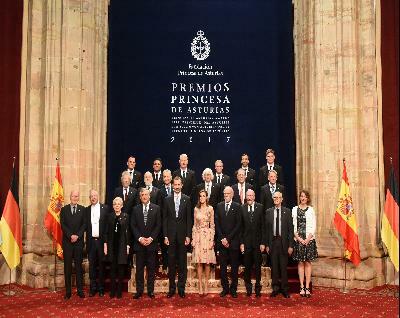 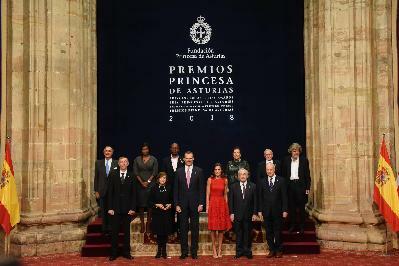 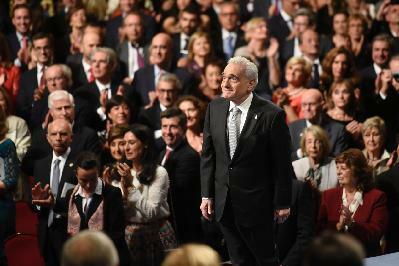 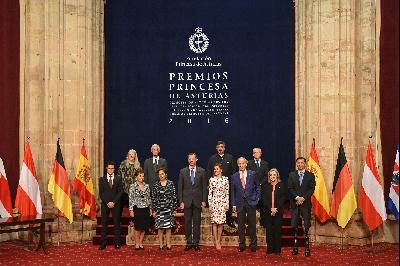 Frank O. Gehry HM The King of Spain presenting the insignia to Frank O. Gehry, 2014 Prince of Asturias Award for the Arts.